SEGA SC-3000 was released in 1983, so more tha 30 years passed since its first "turn on". If your unit is still in working order, you are lucky enough to enjoy it, but if it’s broken or you never had one, you have the possibility to see how it works thanks to emulators. Emulators are programs which let you play with a particular electronic system. Also SEGA SC-3000 computer has its specific emulators. We will present you only few that are still growing up thanks to the work of programmers, users and SEGA fan. If you want to try them you must have ROM images, which you won't find here. You are supposed to have original cartridges in order to have ROM images but of course you can find them on internet at your own risk. This emulator of the list was written to run all SEGA consoles including SG-1000, SC-3000 computer and SF-7000. IWe like it and it's accurate and rich of interesting technical tools for developers such tile map viewer, memory dump window, debug window, color window and list of games. Floppy disk is well mulated but you can't save Basic programs permanently, or you can't format/copy sf7 disk images. Other devices such RS-232C or Printer are not implemented yes. SMS-Power team made this emulator is great, it can emulate almost every cartridge made for SEGA hardware, but is still in early development stage. It's perfect if you want to play with games only. We have produced a special Survivors SEGA SC-3000 Artwork you can use with MEKA. This is out tribute to the project. Soon it will be available for download. 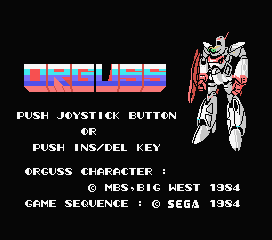 This emulator of the list was written to run MSX standard machines, but since the hardware of most of these ones are very similar to SC-3000 hardware, BlueMSX can perfectly emulate it. Almost every cartridges made for SEGA SC-3000 computer/SG-1000 can be run perfectly. Great graphic userinterface that the survivors like. It has also many inrteresting features such as screenshot capture and video capture. It can fully emulate the floppy disk SF-7000 also. This means that you can use UTILITY command to Format/copy floppy disk image. Of course load/save/delete Basic programs. We are developing a special Survivors SEGA SC-3000 theme you can use with BlueMSX. This emulator has a great theme engine that let you totally configure the GUI. You can set up keyboard layout, every device controls and diferent operating area screens. you will experience a full interaction with the machine. Soon it will be available for download. It emulates almost every SC-3000 computer software with expansion devices. Floppy emulation let you use SAVE Basic programs on SF7 image disk, and Tape emulation let you LOAD perfectly Wav Tape dumps (if well sampled), and save Basic programs on Wave files. Actually in Subversion page is available a work in progress version which emulater Centronics port on SF-7000 Emulation. This means that you can print Basic listing and Stings to a text file mounted. Plotter Sp-400 has to been implemented yet. A very good emulator that most of the retro gamers know that will give you hours of fun experiencing our friend SEGA SC-3000! We have produced a special Survivors SEGA SC-3000 Artwork you can use with MESS. This will make you experiece the feeling of having an SC-3000 in your hands. Soon it will be available for download together with some ini configuration file for the best use.